There are so many different ways to decorate a home but the most important part of the decoration is knowing what you want people to take from the experience of being in the room. The same is true of the family room, and the good news is gorgeous and fun go together. 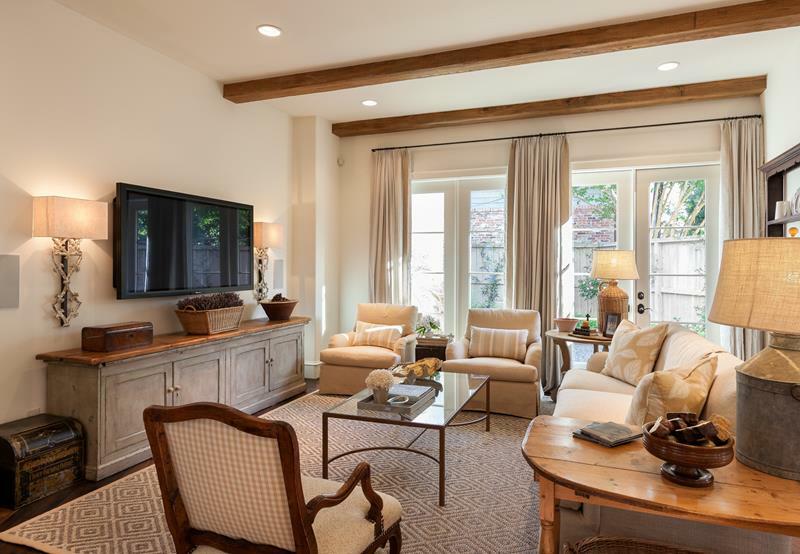 There are many different activities you can do in a family room, but you can use the geometry of the room to design a really elegant space by painting the walls and accent pieces various colors. Other elements that you can use to create this beautiful room are warm colors on window and wall treatments. Your family room deserves to have incredible design, and it’s as easy to find as taking a look at the list of 20 stunningly designed family rooms below. This room is full of honey colored accents, from the drapes and furniture to the walls and accessories. All perfectly blended for a peaceful feeling. 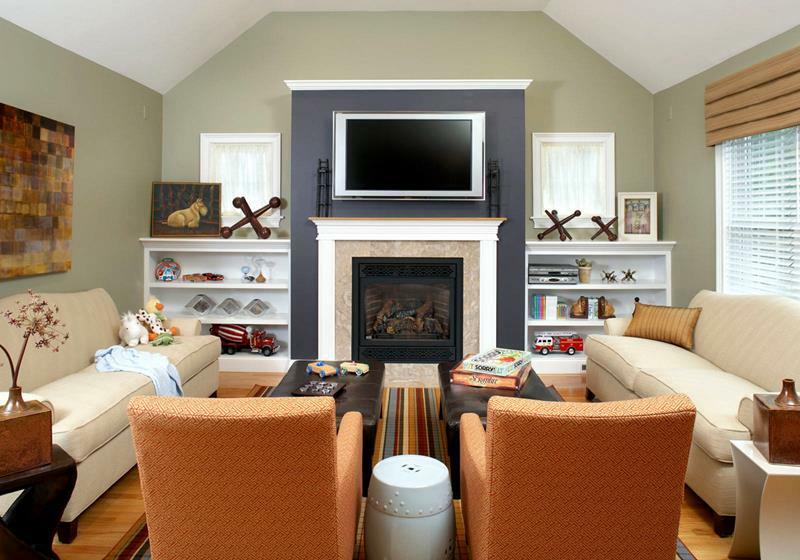 This family room comes alive with the blend of colors. From the orange chairs and area rug, to the sage walls and gray and white wood, it all works together. 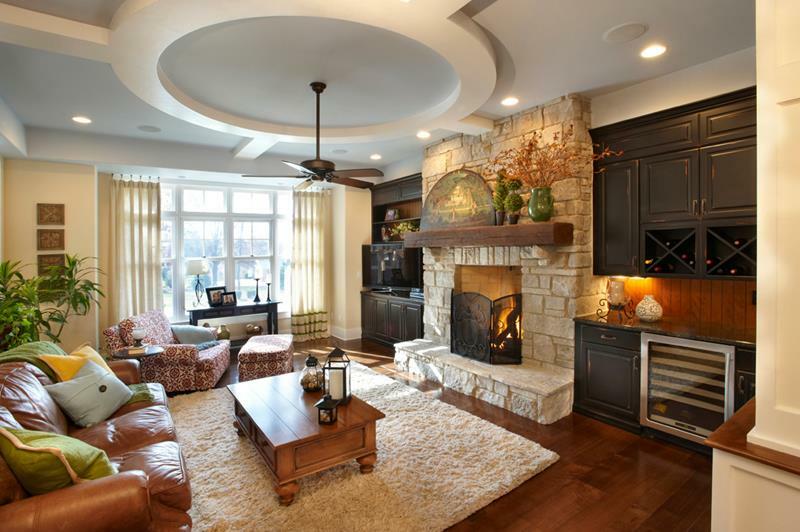 This circular ceiling design is the point of interest in this family room. Adding depth to the space, it works perfectly. 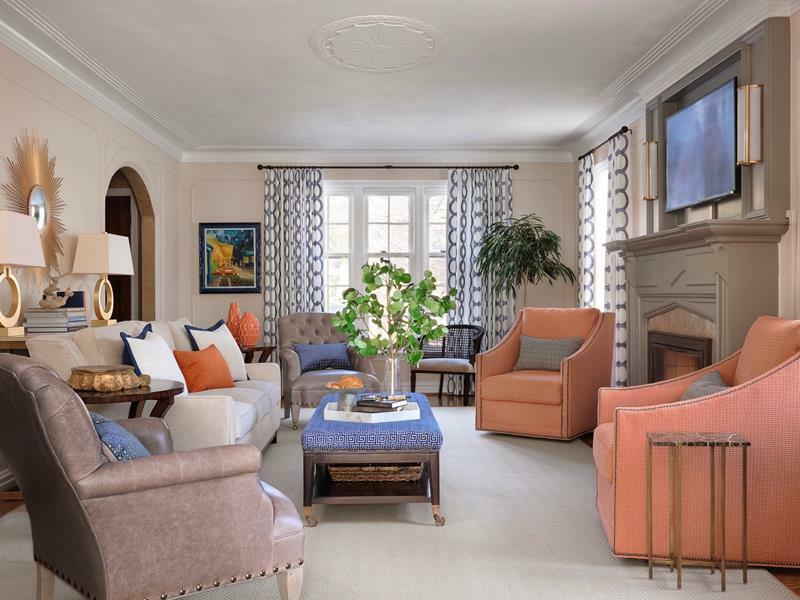 The peach chairs and blue accents conjure up a lovely peacock in this family room. The taupe accents and print drapes keep the theme going. 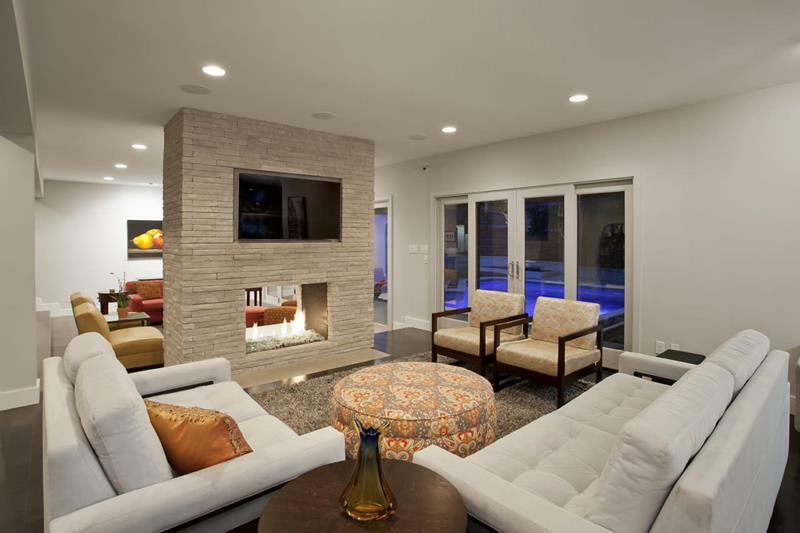 With this textured stone wall and the sofa accents, this family room is so cozy and warm. Stay in with a movie, or step out to the beautiful backyard.